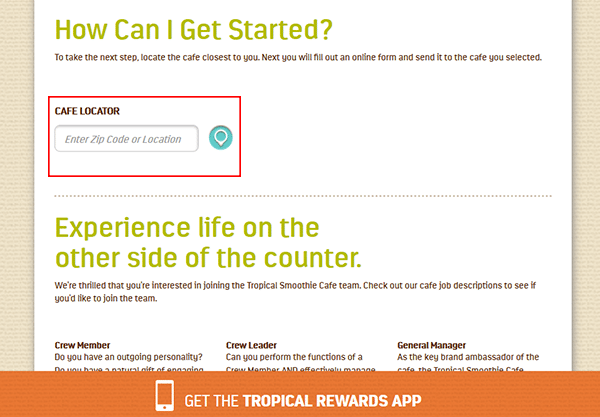 Access the Tropical Smoothie Cafe job application via the links provided on this page. 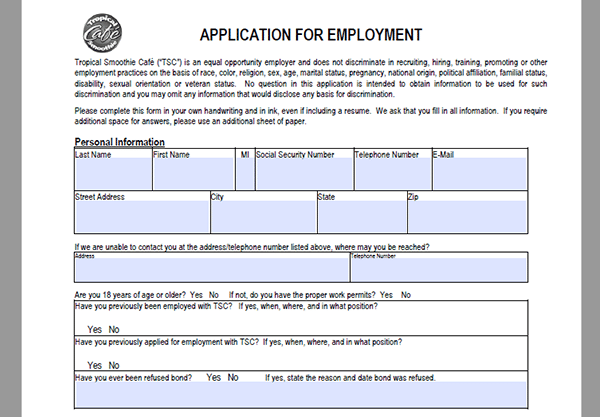 The application can be used to apply for numerous career types including both hourly and management positions. The instructions provided in the below section detail the online hiring process for hourly positions. About the Company: Tropical Smoothie Cafe is an American restaurant chain based out of Atlanta, Georgia. The company was formed in 1997 and currently has over 500 locations throughout the United States. Step 1 – Click here to load the jobs page in a separate tab/window. Step 2 – Scroll down the page and enter your zip/postal code into the “cafe locator” search form. 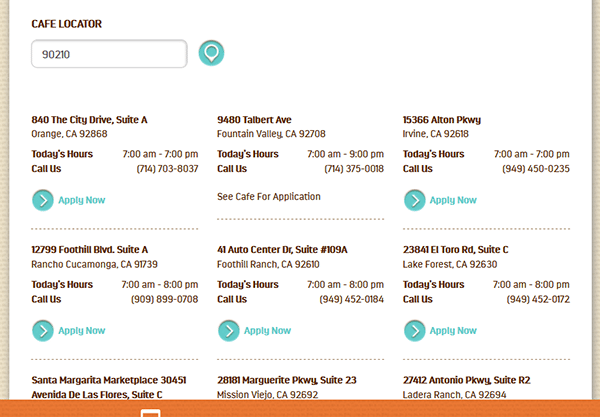 Step 3 – Click the “Apply Now” button underneath the location that you want to start the online hiring process for. What is your minimum hourly rate? Describe what you did at your last job? How would you “deliver amazing” in every interaction with our customers? 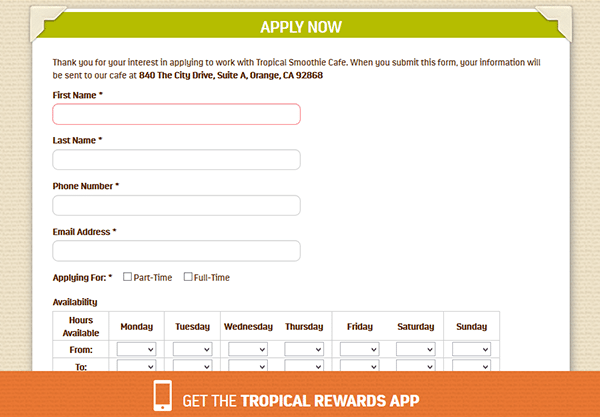 Step 5 – Press the “Submit Form” button to send the completed form to the location you’re applying to. Note: Some locations do not accept online forms. If this is the case you must visit the restaurant in-person and inquire about current openings. Step 1 – Use the link at the top of the page to download the .PDF form. Sign your name and then fill in the date.